What is the difference between exegesis and exposition? Haddon Robinson put it this way, “Exposition is drawing from your exegesis to give your people what they need to understand the passage.” This implies that the preacher will have a lot more material after the exegesis than they are able to present in the sermon. 1. Passage Study Before Message Formation – When you move too quickly from studying a passage to preparing the message you will not have much left over from the exegesis phase. This will result in preaching that lacks authority, that is biblically thin, and that is more an imposition of your ideas onto a passage than the message God intended from that passage. 2. Sermon Preparation Takes Time – If you start the sermon preparation on the Saturday, then Sunday is already looming and you are already looking for the sermon. You have to work your schedule so that the pressure of preaching is not squeezing out time for exegesis and meditation. It takes hours to prepare a message, over many days, built on top of many years. The years of biblical soaking feed into the times of biblical study that bubble up into sermons worth preaching. 3. You Have to Know Better Than You Preach – When you are grasping for a sermon you will be preaching a passage that you have not grasped and that has not grasped you. Aim to know a passage so well that an informed listener can engage you in an extended conversation about the nuances of the passage after they’ve heard your sermon. You may or may not choose to create a venue for that further exegetical presentation, but being able to do that means you are preaching within your range of study, not beyond it. This was an intriguing year for BiblicalPreaching.net – thank you for visiting the site! Let me share some highlights and stats with you. 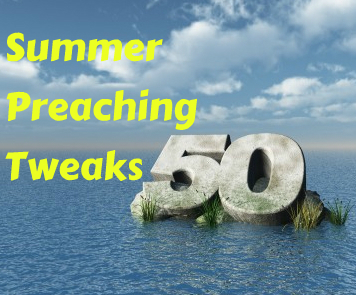 Some of the Series – We began the year with a series of preaching resolutions that stirred some good comments, followed by another provocative series on radars preachers need to develop, and then 10 reasons why your listeners may not be satisfied with the preaching they are hearing. People always seem drawn to Biggest Mistakes series too, since we all make lots! So 10 Listener Fatigues is worth a mention too in a similar vein. Monthly Opener – At the start of each month I have shared a longer post that has been picked up by the European Leadership Forum. These included, Overflow Leadership: 2 Vital Ingredients, Jesus Nudges, Cracks are Serious, one that stirred lots of verbal response at a conference – 7 Ways to Guard Hearts at a Christian Conference (with its follow up regarding Guarding Hearts at Bible School, and also at Guarding Hearts at Church). There were quite a few other posts that seemed to stir response, such as Who Turned Preaching Into a Solo Sport? And probably the one that deserved the least attention, but somehow got quite a lot – Meaningless Chatter. 10 Pointers for Preaching Teams as well as for Preaching Easter, and Special Occasion Preaching, and of course, Evangelistic Preaching. There was another on Planning a Preaching Calendar, and one on Planning a Series. There you have it, another year of blogging. So much I didn’t mention, but thanks for reading this far! What should I write about in 2016? All suggestions welcome, most suggestions followed! 9. Root imperatives in their own soil. It is tempting to simply harvest imperatives and preach a to-do list. Don’t. Instead let each imperative be felt in its own context, including the earlier sections of the epistle where our gaze was pointed to Christ. Don’t let application sections become self-focused when they actually are intended to present guidance for what flows from the doctrinal sections. 10. Be clear. You can never be too clear in the way you structure the message and present the content. Look for ways to help your listeners follow you, and also follow the author in his thought. 11. Preach the text. The church has a full history of preaching messages from texts, but instead preach the message of the text. There is a world of difference. God inspired the Bible as it stands, He doesn’t promise to inspire every thought that is provoked in our minds as we read the text. 12. Engage in conversation. Don’t just sit alone with your preaching notes. Get into conversation. First, with God. Second, with others – commentaries and co-preachers, as well as listeners, etc. Conversation about your sermon will almost always improve your sermon! 5. Master the whole. Don’t just preach chunk by chunk through the epistle without getting to grips with the flow of the whole. You cannot accurately preach a portion of an epistle without a good grasp of how the whole is working together. 6. Get the author’s logic. Don’t read a section and look for three preachable parallel points. Instead wrestle with what the author is trying to do in this particular section. Sermon outlines can always adjust to fit the text, and they should do so. Don’t adjust the text to fit your outline. 7. Preach to today. Don’t just present a set of commentary labels and then try to apply “back then” truths to today. Instead, preach the text to today, and go “back then” to substantiate what you are saying. Wrestle with how that audience is similar to, and different from, your audience today. 8. Let truth be felt. Epistles can lull us into a false sense of abstraction. Don’t give theological theory, preach the gospel applied to real life (both then and now). Preach tangibly, use implicit imagery, be vivid, help images to form on the heart-screens of your listeners. 1. Grasp the narrative. Hang on, I thought we were talking about epistles? Indeed. By exploring the historical setting, especially by paying close attention to the details in the epistle itself, plus any Acts context, we can start to get a sense of the narrative that lies behind the letter. The letter itself is one side of a conversation at one moment in time. “Narratives” can be preached with tension, with feeling, with imagery, etc. 2. Learn the background. Not just the specific occasion of the epistle, but whatever background understanding would help you. For instance, how much do you really know about slavery in the Roman Empire? What about proto-gnostic religions? And the geography? Take the chance to learn more, don’t just try to replenish what you once knew. 3. Familiarise like crazy. Don’t read a letter then preach it. Read it. Read it. Read it again. Each time through, the flow of thought will become clearer and clearer. 4. Focus on the frame. The “letter-frames” often get short shrift from expositors. They shouldn’t. Look at the beginning and end of the epistle: what is included, how conventions are followed or broken, each and every clue to the situation of author and readers. The process of moving from passage to message involves distilling the passage text down to the passage idea. The goal is a single sentence summary of the passage – a more concentrated representation of the whole. I find the image of distilling the text helpful because it suggests that the details, the character, the tone and the balance of the passage should all influence the final statement of the passage idea. But we humans love to short-cut. When we short-cut this process we can seriously mis-distill what is there, with the end result that the passage idea does not carry the true content, nor the character, of the passage we claim to be preaching. 1. Seek out the best verse. Occasionally a passage conveys its main idea in a single verse (and everything else in the passage is related to that verse). Typically this is not so. Don’t pick a punchy verse and primarily preach just that. Your goal is to summarise the whole text, so that the whole text is influencing the single sentence summary. 2. Seek out a meaty truth. Always a lively temptation, we must resist this. If your goal is to be a biblical preacher, then don’t abuse the Bible by using it to preach your weighty doctrines of choice. Preach the Bible text itself. The passage you are studying may beep on your theological radar and cause you to ponder its broader implications (hopefully challenging and changing your theology, rather than the influence going the other way). It takes prayerful care to make sure a minor point in a section does not take over because it happens to be a major theological issue for you. 3. Seek out imperatives. Speaking of your theology . . . if your theology says that people are essentially self-moved and need to be both informed and exhorted to action, then you will probably get over-excited when you spot imperatives of any sort. “Aha! Action points! I sense a sermon!” Take a deep breath and look carefully. The process that takes you from passage to passage idea is one of distilling the weight of the whole into a single sentence. It is not an imperatival mood filter that strains out all content to leave a me-focused to-do list. What is the passage doing in its context? What is going on in the passage? What is the nature and function of the imperative details in the passage? Seek to preach the passage, not to be a purveyor of preachy points. 4. Seek out triggers for your pet points. This could be theological pet points or imperatival pet points. It could also be cross-referencing pet points (“Cool, I can preach Romans 3 under the guise of this passage too!”), or historical background pet points (“Great, this reference to the circumcision party will allow me to explain first century Israeli politics, my favourite subject!”), or church/cultural commentary pet points (“Jesus tells him to go to the priest, which is good because I want to critique our contemporary church culture on slack church attendance!”) Find a better venue for sharing your pet points, but don’t sabotage any biblical preaching opportunity to do so. 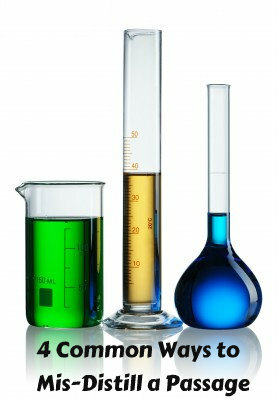 When you are wrestling with a passage, be sure to distill the whole passage down into the passage idea. Any other approach and you won’t be preaching the whole passage. Guest blog: My good friend, Huw Williams, has offered this series on preaching wisdom literature. Huw is the pastor of the International Church in Torino, Italy, where he lives with his wife and daughter. Here is his personal blog. Thanks Huw! So let’s try and get down to nuts and bolts. What practical steps can we take to try and improve our preaching of wisdom literature? 1. Beware of self-improvement. It is all too easy to focus on the fact that Job ended up with more stuff at the end of the story than he had when it started, or to preach Proverbs 22:4 in such a way that we motivate our listeners with the prospect of material blessings now, rather than the glorious treasure that awaits us when Christ appears. It’s true, wisdom literature seems at times to focus on material blessings in this life, but I think there is more going on here – and more on that later. 2. Beware of making promises out of proverbs. Yesterday, I mentioned the example of Proverbs 22:6 (“Train up a child in the way he should go; even when he is old he will not depart from it.”), we need to teach this in a way which both understands and communicates that proverbs are generally true, they not promises. This proverb is saying that if 100 sets of parents train their children up in the gospel, more will become followers of Christ than won’t, but this is not a promise that 100% will. Wisdom literature often provides us with general truths, not promises to be claimed. 3. Preach thought units. In his excellent book “Preaching With Variety”, Jeffrey Arthurs points out that Proverbs are often grouped together, though the connection between them can be quite subtle and not always obvious. Look hard, reflect, pray to identify those units of thought. And don’t be afraid to use a good commentary. Arthurs also suggests taking a more thematic approach to Proverbs, where you can draw together a few proverbs on the same theme (laziness, alcohol, parenting, old-age and youth) from different parts of the book. Also, there’s nothing wrong with simply preaching a whole sermon on one proverb. In other wisdom books, the units of thought are often much larger. I’ve heard of someone preaching through Job a verse a week, but I wouldn’t recommend it. We will complete this list next time . . . 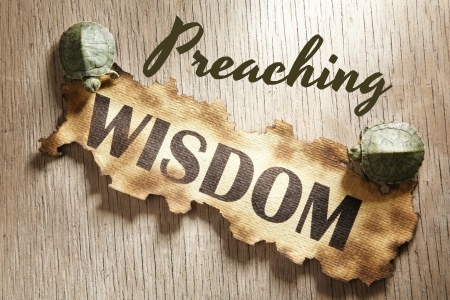 Guest Series: Preaching Wisdom – 1. What is Wisdom? 1. …Understand what wisdom is. What exactly is biblical wisdom? Perhaps the easiest way to answer this question, is to look at a passage – not in one of the wisdom books ironically – but a very important narrative in 1 Kings 12. Solomon, the archetypal wise king, has died and his son Rehoboam is taking the throne. The people of Israel come to him and say “Your Dad laid a heavy burden on us in taxes and so on, so lighten it for us.” What is Rehoboam going to do? He starts well – he gets counsel. First, he listens to his father Solomon’s old advisers. They tell him “Do as the people say and they will serve you totally.” Next he takes counsel from his old school buddies, and they tell him that he needs to stamp his authority on this people, make a statement, show them that he is not to messed with. “My little finger is thicker than my father’s thigh… he disciplined you with whips, I will discipline you with scorpions.” That ought to do it – that’ll show them who’s boss. So who is Rehoboam going to listen to? – And here’s the point, because for a Hebrew reader, this decision has “wisdom” and “folly” written all over it. Solomon’s counsellors are older, they are experienced in helping to run a country, they have spent a lot of time with wise King Solomon and they would have learned from his wisdom. Rehoboam’s old school pals are young, have no experience of running a kingdom, and not much experience of life, either. To the Hebrew mind, it’s a ‘no-brainer’. A wise man is going to listen to the wise old counsellors and the foolish man is going to listen to the foolish young counsellors. Which will Rehoboam do? Will he show himself to be wise or foolish? I’m sure you know, and the rest as they say, is history. And this is invaluable to us in understanding biblical wisdom. For us Westerners especially, when we think of wisdom our minds go very quickly to intelligence. We tend to think that the cleverer, the more educated a person is, the wiser he/she will be. But that is a Western idea, not a particularly biblical one. I imagine that Rehoboam’s young counsellors had a good education, but they were still foolish by way of their youth and inexperience. Many of us live in a culture which is obsessed with the idol of youth. We are drawn to young people with new, fresh ideas. But again that is a Western idea, not an expecially biblical one. In biblical cultures, older people were held with higher regard than younger people because of their years, their experience and hence their relative wisdom. Of course there are exceptions – you will find foolish old people and wise young people in the Bible – Solomon himself, as a young king recognised his need for wisdom and asked God for it – and that’s a big theme in Proverbs for example, of enabling the young to get wisdom. So let’s understand what wisdom is – it is not intelligence, education or information. Wisdom is the knowledge of God and how to live in His world. And tomorrow we’ll actually look at some of the wisdom books. I promise. 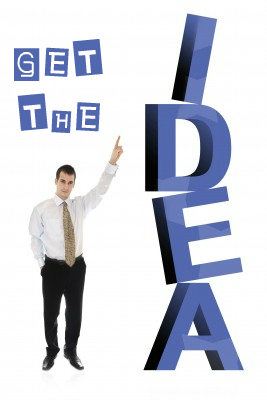 Don’t Just Get the Idea! Ideas change lives. People give themselves to ideas. Christianity is a content-based faith. Which is why a very high view of Scripture tends to resonate with a commitment to expository preaching. That is, bringing out from the text the meaning that is there and seeking to effectively communicate that truth to others with an emphasis on why it matters to them. 1. It is not just about the writer to the original recipients. It is possible to be committed to discovering what the writer meant by what he wrote to the original recipients, and then to preach that. Just that. This can come across as textually accurate, but distant and irrelevant. It can lose sight of the present and living nature of God’s Word. We can become lecturers in ancient manuscript interpretation, even if we add on application by extension. It is important to not lose the accuracy of original intent, setting, context, etc., but also to give a very clear sense that this is for us today. 2. It is not just about the human writer, it is part of God’s self-revelation in the Word. This is where I’ve seen Big Idea preaching misapplied and fall short. Understanding, distilling and effectively communicating the main idea of a passage is not the whole deal. We are not trading in brilliant information transfer, back then or today. We are handling the inspired Word of God, given to us to reveal His heart to us. When the text becomes opaque, when the personal nature of the Trinity grows distant, then all our meticulous accuracy and sermonic craft is wasted. We don’t just preach the written word, we preach Christ. Our preaching must be theocentric, for the Bible is all about God. The Revelation of God, who inspired the . True preaching happens in the present. As Donald Sunukjian puts it, in his shortened definition of biblical preaching: “Listen to what God is saying . . . to us!” Let’s preach so that our listeners can meet the God who still speaks through His Word today.